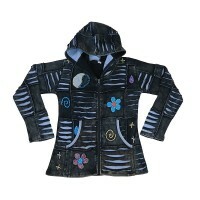 Colorful ribbed and stretchy cotton are turned into beautiful hoodies and jackets added with hand embroidery art work, rich patch work, stone wash, block print and hand painting to make them unique and rich in quality. 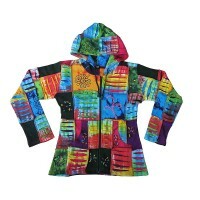 Looking for unique Nepalese hoodies online? 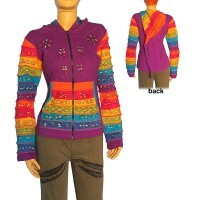 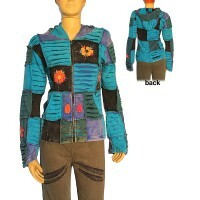 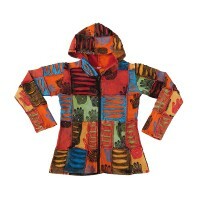 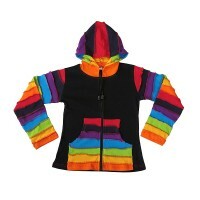 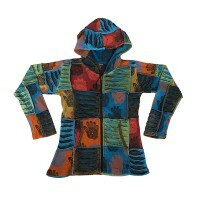 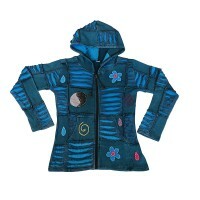 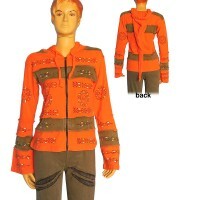 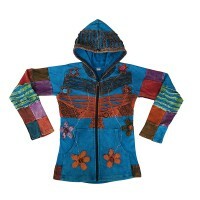 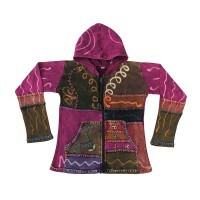 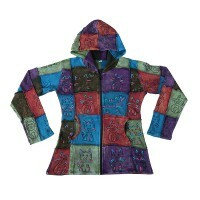 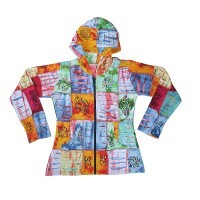 Nepal women hoodies and jackets at wholesale price from Creation Nepal ! 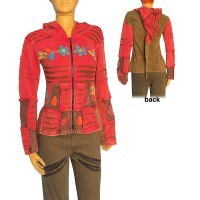 Being as a leading manufacturer and wholesale exporters of Nepalese handmade hippie fashion clothing company Creation Nepal offers a wide range of Nepalese handmade clothing like woman hoodies and jackets like layer cut hand embroidered sinkar jacket, embroidered razor cut rib hoodie, Hand painted squares patch hoodie, colorful piping stone wash rib hoodie etc. 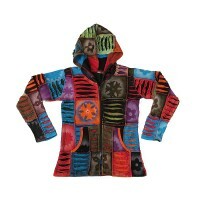 Creation Nepal has unique ideas of various types tie-dye base patch work hoodie, colorful razor-cut patches long jacket, patch-work razor cut hand emb rib jacket, razor-cut patch hand emb brushed rib Jacket, brushed base colorful hoodie, colorful razor cut jacket, rib razor-cut hoodie, hand emb patch hooded jacket, hand embroidery, patch-work rib hooded top, rainbow hooded jacket, sleeveless hooded jacket, multiple colorfull spray print rib jacket, patch-work hooded summer jacket, razor-cut patch embroidered rib jacket all are available at competitive wholesale prices. 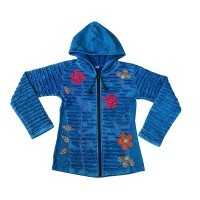 Email us if you are looking for custom design and custom color hoodies and jackets from Nepal.